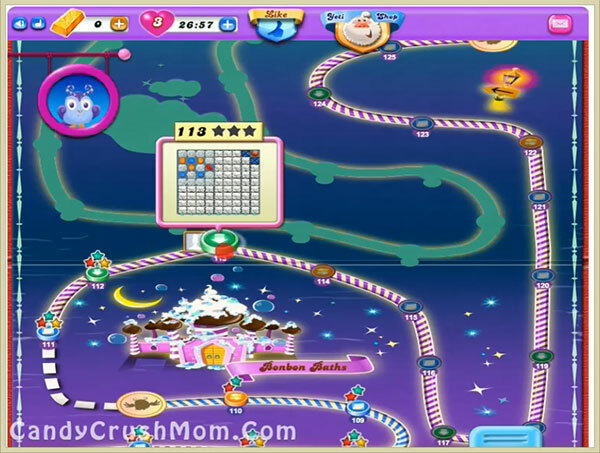 This level have normal difficult but required good strategy to complete the level. As you started to break meringue blocks you should try to play more from right top to take out ingredient from grill. You should also try to make special candies and break with candies by balancing the Odus owl. As ingredeint get free you should play below to them and try to make special combos and wait plus play till last move. We completed this level with 138200 score by using all moves and got three colorbomb that help us to reach requirement with three star score.